The Worksman Front Load Industrial Tricycles set the standard for heavy-duty cycle applications with an amazing one-quarter ton total payload capacity. Just how the Worksman Front Loaders are able to stand up to such demanding loads, while remaining maneuverable and safe, is a testimonial to Worksman design and commitment to quality. The 14 gauge main bar, coupled with a 1" diameter solid steel axle and ball-bearing hubs, handles loads that would crush an ordinary cycle. The double leaf springs and massive machined steering spindle with malleable head lug begs for the toughest loads. These are industrial grade commercial cycles. All Front Loaders come with a "super duty" rear coaster brake and 11 gauge spoke wheels. These models epitomize our mantra, "Worksman Tough". For even greater strength, the Front Loaders are available with welded steel "mag" wheels fitted with Kevlar tires, puncture resistant tubes or solid tires. Worksman Super Deliver Trikes are used by large and small companies alike for small parcel deliveries. 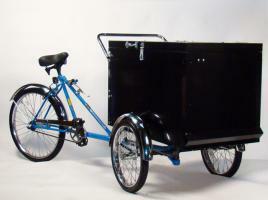 With today's high fuel costs and traffic congestion, The Worksman Super Delivery Tricycle makes more sense than ever! As it has been for over a century, Worksman Front Loader are made with frames welded right here in the USA by our quality factory workers who take price in every cycle we build. These amazing cycles are built in New York to provide you with the toughest, most durable cycle available. 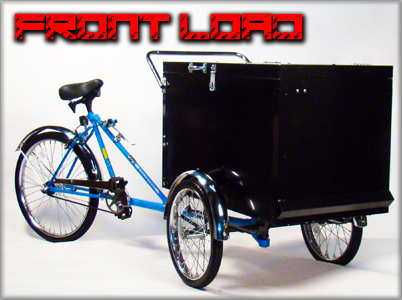 Worksman Industrial Front Load Tricycle with 38x26x3" steel front platform. Carry what you need to on this super heavy duty Trike. 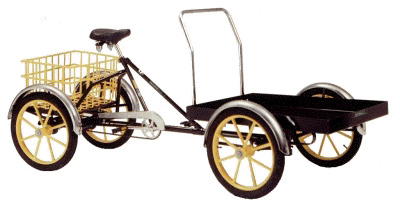 Worksman Quadricycle, with 38x26x3" front platform, and 22x15" rear platform. 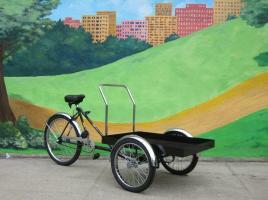 Ideal urban delivery cart, with 42" x 26" x 25" large capacity cabinet! Classic vending trike with EXCLUSIVE snap-shut 10"x10" door. 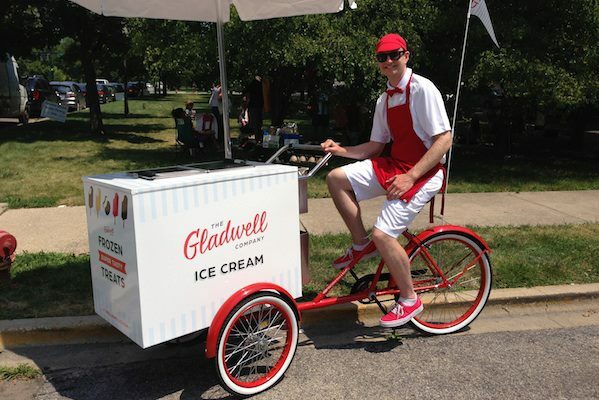 Based on our ICONIC GOOD HUMOR TRIKE, circa 1940S. Classic vending trike with versatile 20"x10" flip top door. Pedal your way to profits! 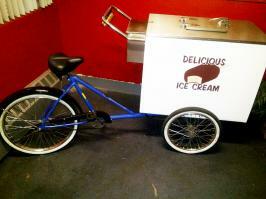 Classic vending trike with large 20"x20" flip top door. Pedal your way to profits!